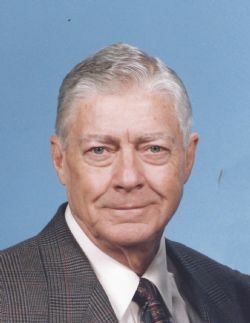 Dannie Lee Williamson, Sr., age 89, of Mobile, AL, passed away on Tuesday, April 10, 2019. Dannie was born in Healing Springs, AL, to Dan Mobley Williamson and Ola Leigh Rogers Williamson. He is survived by his son, Dannie Lee (Gina Saad) Williamson, Jr.; granddaughter, Kristen Williamson (Brett) Orrell; great-granddaughter, Remi Lee Orrell; sister, Betty (George) Stauter; brother-in-law, Charles Sidney (Lynne) Summers; and many nieces and nephews. Dannie was preceded in death by his parents; wife of 64 years, Bettie Ruth Summers Williamson; sisters Olivia Louise Williamson and Grace Williamson Vickery; and brothers, James Mobley Williamson, William R. Williamson and John Robert Williamson. A veteran of the Korean War, Dannie began work in 1945 at the Aluminum Company of America In Mobile. He worked as a machinist at ALCOA until his retirement in 1984. During his time in Korea, Dannie began his lifelong hobby of photography. From family gatherings, school events, and weddings, Dannie could always be seen with his camera ready to capture the moment and over his lifetime he created precious memories for so many. Dannie volunteered with the American Red Cross, RSVP – Meals on Wheels and as a photographer at Camp Blue Bird. The family wishes to thank the staff of Atria Assisted Living and Gentle Loving Care Sitter Service for their exceptional friendship and care. A visitation will be held Friday, April 12, 2019, at Mobile Memorial Gardens Funeral Home from 1:00 p.m. to 2:00 p.m., followed by a service in the chapel. Burial in Mobile Memorial Gardens. A chapel service will be held at pm on Friday, 04/12/2019 from Mobile Memorial Gardens Funeral Home, followed by a committal service at the grave site.